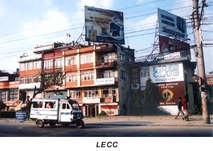 Established in the year 1984 in a small rented room in Bhrikuti Mandap, Kathmandu, The Lions Eye Care Center (LECC) started off offering only outpatient services. The center, over the time, has successfully established itself as a non-profit international nongovernmental organization (INGO) offering a variety of eye care services to the people in different parts of the country. The center was established as a way of finding solution to the alarming statistics which stated that approximately eighty thousand people in Nepal were needlessly blind from cataract alone in a national survey in 1981. The establishment of the center did reduce the problem and since its inception, the center has been continuously providing its services to the people in need of medical attention for eye problems and diseases. Over the years, Lions Eye Care Center in order to accommodate inpatients and introduce regular operating facilities has expanded its hospital facilities as well. Established with the aims of reducing the incidence of curable blindness present in the country, providing optimum eye health care services to the needy and improving standard of education to its clients on aspects of safe primary eye health, the center has three basic principles to follow that are Curative principles which involves reducing the incidence of curable blindness through appropriate medical and surgical treatment for eg. Cataract, glaucoma, etc., Preventive principles that involves early detection and treatment of potentially blinding conditions, for example, exophthalmia, trachoma, etc., and Promotive principle which concentrates on providing health education in relation to primary eye care, nutrition and ocular hygiene through community social workers and health personnel. With its team of dedicated and committed experienced medical practitioners, Lions Eye Care Center aims to modernize its facilities and commence an income generation element to make the project self sustainable in order to provide necessary medical attention to more people in need. The center is facilitated with services and departments such as Out-patient department, In-patient department, Operation theatre, Registration/ Information desk, Office and administration part, Conference room, Guest’s quarter, Spectacle shop, Refraction, Biometry, Perimetry, Cataract operation with IOL (ECCE, SICS), Glaucoma diagnosis and surgery, Dacrocystisis diagnosis and surgery, Entropion/ Ectropion surgery, Pterigium surgery, Squint diagnosis and surgery, Other minor operations, Emergency service, Optical shop, Pay clinic and Ambulance service. 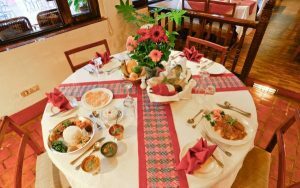 The team of well educated and experienced medical staff has been providing medical and eye care services to a large number of people every day and the center also provides trainings to the doctors. With its quality services made available at low and affordable costs, Lions Eye Care Center has become a popular destination for people with minor as well as major eye problem and diseases.